Samsung, the world leader in displays, mobile and telephony is also a leader in PABX technology. 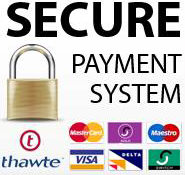 Samsung PABX switchboard systems are world class business phone systems designed to be durable and hugely feature rich. 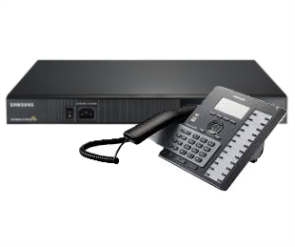 Samsung PBX Telephone Systems come in various configurable ranges to suit any size organisations requirements. United Business Solutions is an authorised dealer, installer and preferred service partner to Samsung's range of PBX systems and has a large nationally installed base. Please take a look at our Samsung PBX telephone systems below and request a quote for a rental or cash purchase. 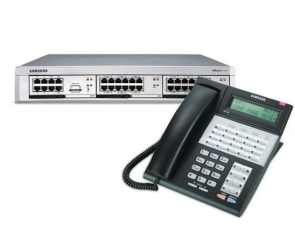 Samsung OfficeServ 7070 is an IP-PBX optimized for small and medium sized businesses having less than 50 employees. It supports not only VoIP communications, but works perfectly with existing communication infrastructures.